The Lodges at Sunset Village is a waterfront hotel located in McHenry, Maryland. 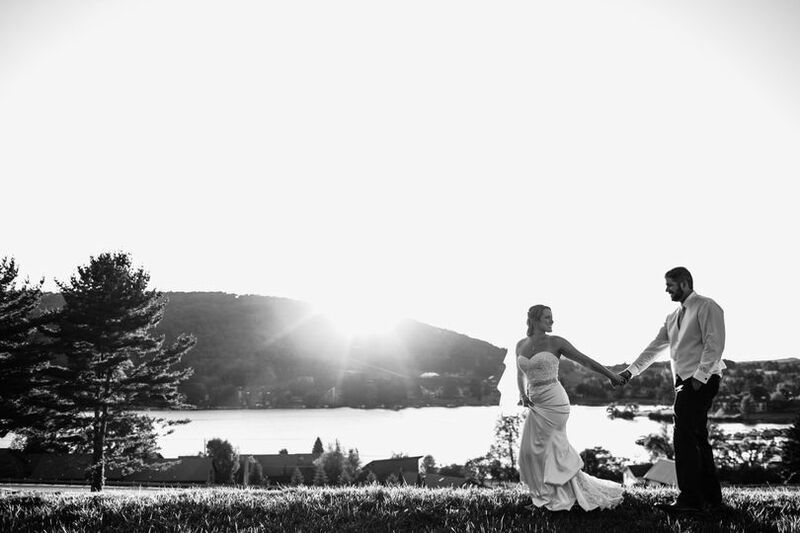 This picturesque venue is situated in the heart of Deep Creek Lake and offers couples multiple ceremonies and reception sites to choose between. 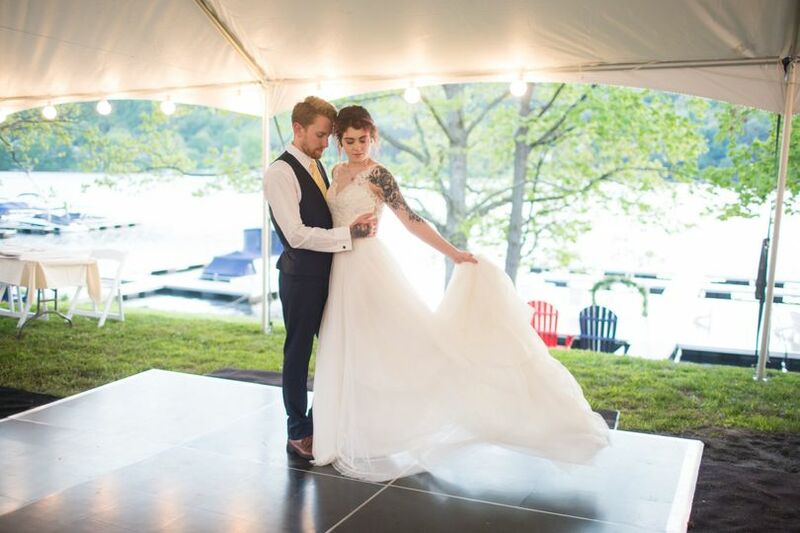 They feature a whole wedding zone on their expansive property with many outdoor venues for you to say your “I do's.” The Lodges at Sunset Village is a full-service resort that can’t wait to make your celebration a success. 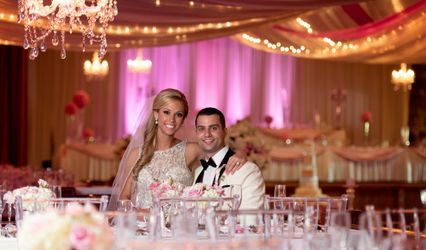 Couples can accommodate up to 400 guests at this destination-style venue. 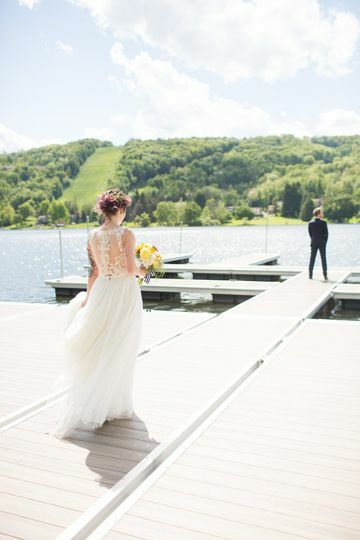 If you’ve always wanted an outdoor celebration, you can exchange your vows lakeside or mountainside. 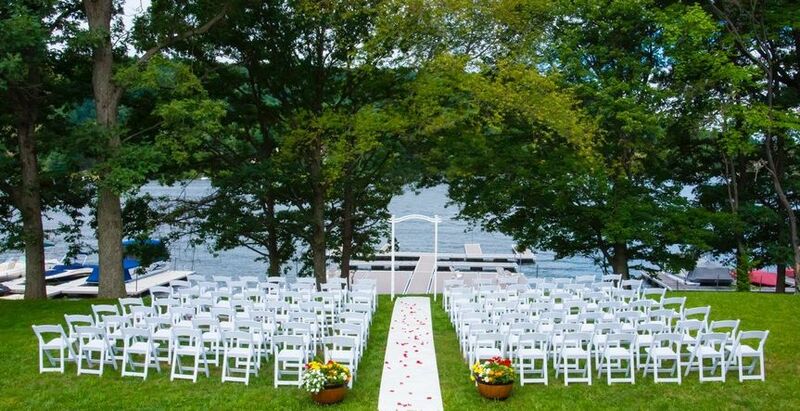 You can even say your “I do's” on a dock. These picturesque settings offer ample room to dance the night away, as well. 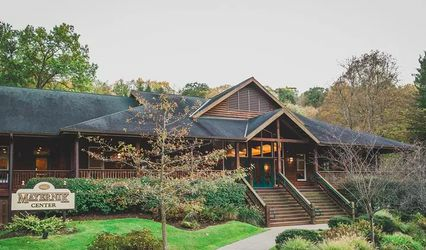 They feature two restaurants on site, Pine Lodge Steakhouse and Smiley’s, that also offers event space as well as catering. There are tent pads near their cabins for grand, rustic affairs underneath spacious white tents. The Lodges at Sunset Village offers 26 cabins and suites for you and your guests to stay in. They offer six different luxury hotel-style suite floor plans to choose between. Cabins may include lake access, mountain views, dock access, complimentary Wi-Fi, a flat-screen TV, a full kitchen or kitchenette and a fireplace. They also added five new lakefront cabins called the Lodges at Lakeside Village. For large parties or families, they feature a “Family Cabin” that can sleep up to 10 guests. 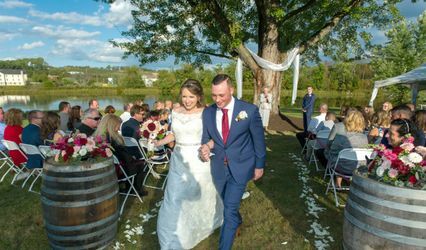 This outdoor wedding venue is located in McHenry, Maryland, roughly one-and-a-half miles from Wisp Resort. They're within 12 miles of Cranesville Swamp Natural Area and Thousand Acres Lakeside Golf Course. Casselman River Bridge State Park and Big Run State Park are less than 20 miles away. 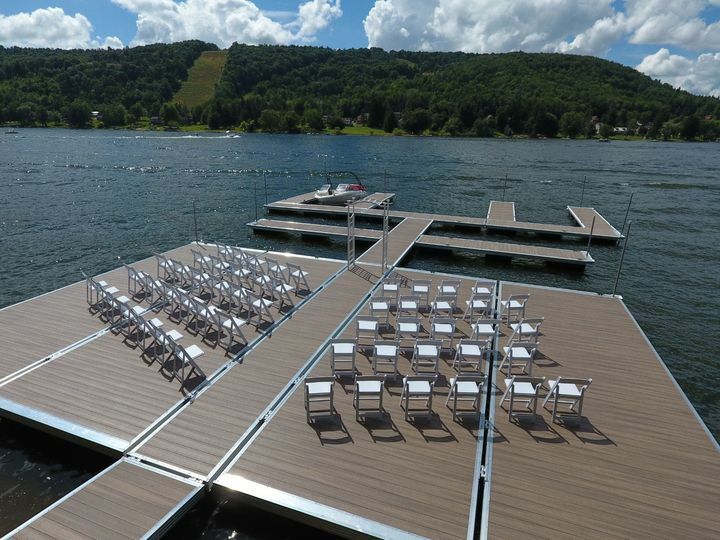 Our dock can hold up to 75-100 people. Our wedding is in October 2018 and Kassy has been such a huge help with everything involving the wedding! We have gone up a few times to meet with Kassy and she makes you feel welcomed and really gets to know you on a personal level! Although she is not a wedding planner or coordinator she has made this experience less stressful and a lot of fun! 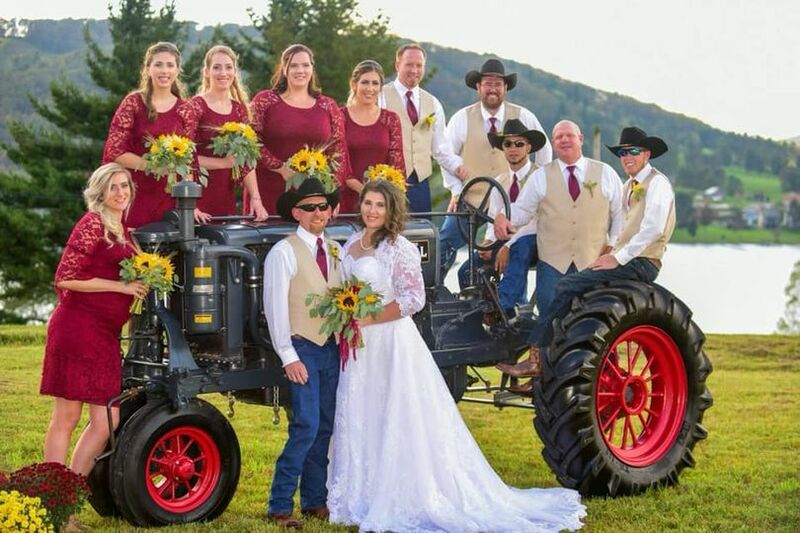 It’s great that The Lodges provide just about everything you need for your wedding. Tents, tables, chairs, linens, and delicious food from Pine Lodge. 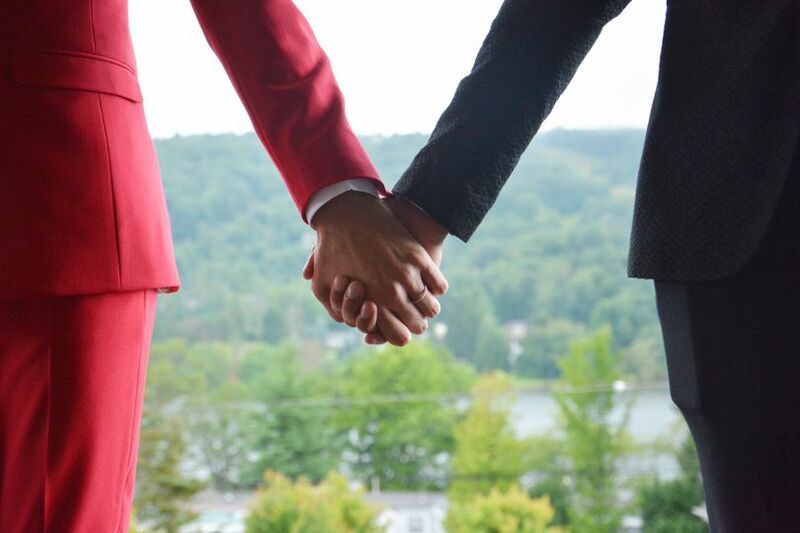 We can not wait to get married this fall with the beautiful fall leaves, mountains and the lake in the background! It will be breathtaking!